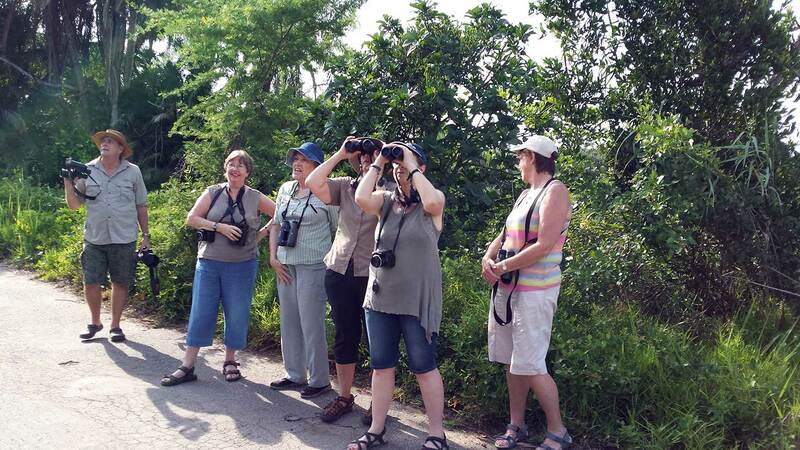 We met just inside the gate and I was pleased to see so many good birders on this, my first outing; Jenny Norman, Sandi du Preez, Elena Russell, Crystelle Wilson and Cheryl King. We also welcomed two new members, Chery and John Bevan. 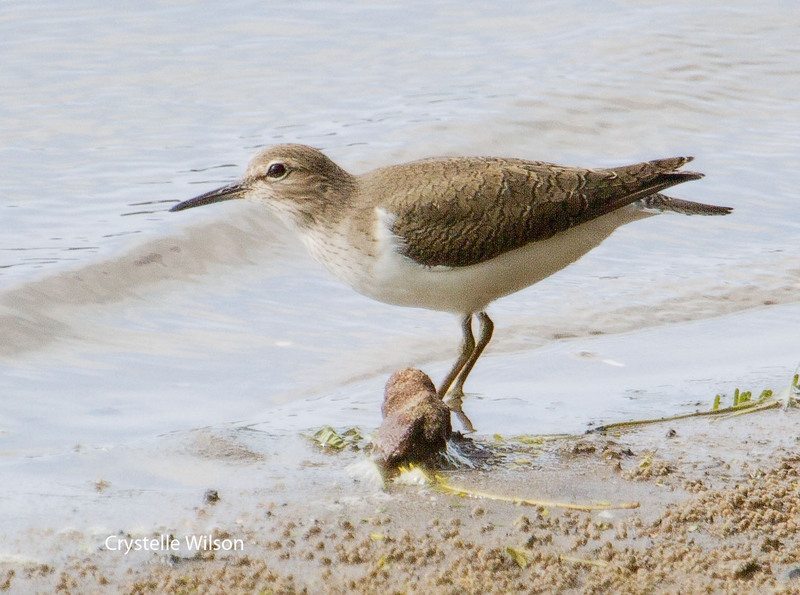 In general, the birding was a little on the quiet side, with 50 species being seen throughout the day. Nevertheless, the great thing about birding at Umlalazi, is the variety of habitat. We parked in the picnic site then walked back down the road where one tree produced lovely views of a group of Yellow-breasted Apalis, Collared Sunbirds, Grey Sunbird and a Yellow-rumped Tinkerbird. The tinkerbirds were calling up and down the road so it was nice to see one. We also saw a female or juvenile sunbird which sparked much interesting and fairly vociferous debate. It was eventually determined at lunch that it was a juvenile male Purple-banded Sunbird. Three Hamerkops flew overhead and we saw an African Fish Eagle perched in a Raffia Palm tree. The Palmnut Vulture was to elude us for most of the day though White-eared Barbets were present in abundance . Back at the water we saw a Pied Kingfisher hard at work while we got back in the cars and drove through a small grassland area. Jenny heard a Red-faced Cisticola call so we all jumped out. We played the call but there was no response for a while. We were about to give up when we heard it again and there it was on the top of a little bush giving us excellent views. It was a lifer for Crystelle too. After tea at the water side we walked through the mudflats and mangroves hoping to find the African Finfoot that has been seen there. This was not successful but we saw a Water Thick-knee, White-fronted Plovers, Common Ringed Plovers and a Grey Plover which flew right past our noses showing us its diagnostic black armpits. This was a lifer for quite a few of us. We had lunch under the beautiful fig trees. I’m not sure which one but there are many ficus lutea in this reserve, one of my favourite trees. The water was very high so there was not much to see on the spit apart from a few Blacksmith Lapwings and a Goliath Heron. After lunch we drove around to the boardwalk that goes through the mangroves where not a bird was in sight (it is a little early for the Mangrove Kingfisher that is known to winter here). Despite not seeing any birds here, it was great walking through the mangroves, learning about them from knowledgeable members of the party. We saw the crabs (fiddler?) and a mud skipper. 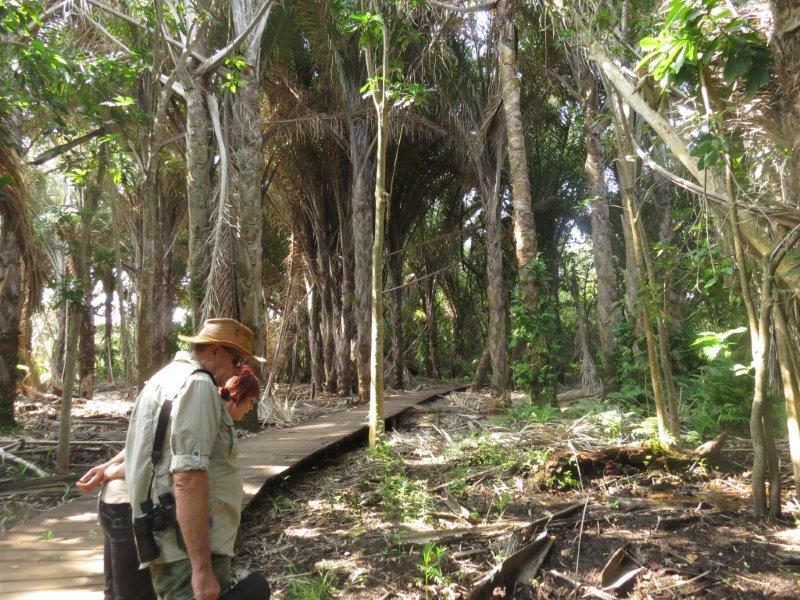 From there we went for a walk in the Raffia Palm Forest Monument where there is no plaque; the forest itself is a living, breathing monument. What majestic trees these are! As Cheryl said, it is akin to walking through a temple. We added a few to the bird list but still no Palmnut Vulture. We said our goodbyes after a most enjoyable day. Cheryl and I had stayed overnight at the Mtunzini Forest Lodge so we went back to pack up and finally left at around 4. We stopped several times along the way, hoping to sight the Palmnut Vulture but to no avail. We left a little disappointed that we had not got our cherry on top of a lovely day. After driving through the Mtunzini Toll Plaza, I glanced left at the Raffia Palm trees and thought a saw a white rag blowing in the breeze. Then I thought, hang on, could this be it? Cheryl stopped the car and sure enough, it was. We watched it for a while and then, very obligingly, it flew off so we could be absolutely sure. I went home, most satisfied after a great day and then we won the cricket test. So I had two cherries to top my day. 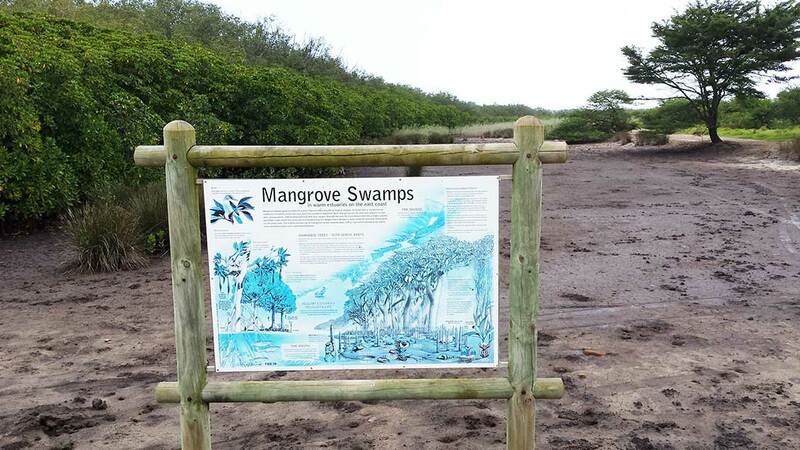 This entry was posted in Home, Posts, Reports and tagged Mtunzini Nature Reserve, Penny de Vries, Sunday Outing. Bookmark the permalink.